This series can get very interesting at times. It can also be a great resource for finding authors to check out. 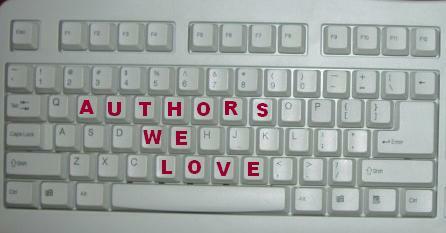 Authors We Love started out as Authors I Love, a series in which I told my readers about an author that I enjoyed for various reasons. I then expanded it from “I” to “We” because I think it’s best to get the input and variety from other readers. A variety that I can’t give my readers all by myself. If you’d like to do an Authors We Love post, I’d be happy to include you in the series! Just message me through the contact page, and we can get things rolling. It’s simple enough to do one. Just keep in mind, these posts should be more about the author and his/her writing, than about one specific book. It’s almost a review/adoration of the author, like a book review is to a book. Part XIV – Cassidy Kingston and…The History Channel?